It’s called the hallowed turf for a reason. For starters, the grass is so well manicured that playing on it seems almost a sacrilegious act. And yet here, where mortal endeavour is watched with rapturous attention and where dreams are made and broken as if at the will of the gods, the pinnacle of rugby achievement is reached. 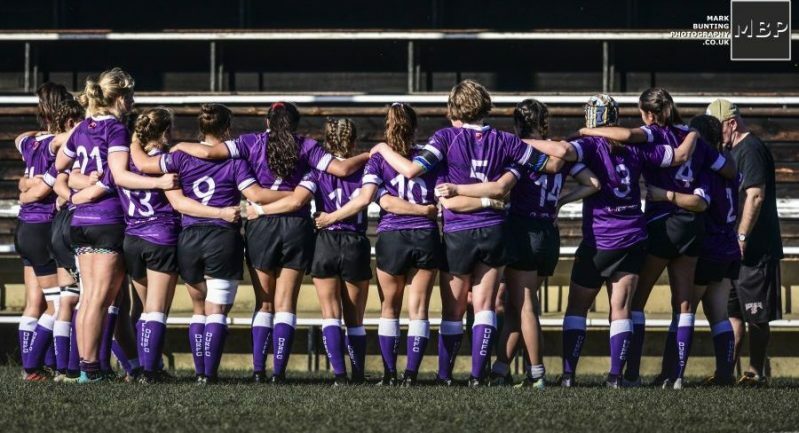 When DUWRFC made their last trip out onto the last playing field of the season, it was to deafening music and wild cheering. The game they’d had in the back of their mind for months was now really happening. They’d made it. Regardless of what might happen next, they’d done more than any Durham team had ever managed – they’d reached the BUCS National Cup Final. The team setting up ready for kick off under blue skies and warm sunshine might rightly have thought that the gods were smiling down on them today. Be that as it may, the game would not easy, nor the full gone conclusion that has come to be associated with the first XV’s matches this year. Not long after kicking off, Exeter grounded a try at the base of the posts, bringing the score to 5-0 and testing Durham’s nerve. Never in this season had Durham been scored against first. It would have been easy for them to crumble under the pressure of the occasion, with nerves high and the unfamiliar sensation of being behind. Instead, displaying incredible strength of character, they settled into the tough game and fought Exeter’s every attack. A second Exeter try was fumbled but proved Exeter to be dangerous as both a pack and on the run. Durham’s response was a phenomenal run from no.15 Sophie Shams, who, with all 29 other players in front of her, stepped her way through to score Durham’s first points. Deemed “a special try” by commentators and converted by Blacklock, the opportunity put Durham back in contention and seemed to settle some nerves. Not for long though, as Exeter kicked for a penalty to draw ahead again in a game defined by an alternating scoreboard that left neither team more than a converted try ahead. Another break by Shams left the crowd in disbelief as she seemed to slip through invisible gaps and continued with the brilliant play that would earn her Man of the Match. This time Exeter were ready but couldn’t cope with the reinforcements that took the ball through the hands of both backs and forwards before no.6 Lydia Crossman brought it over the line in style. Another conversion by Blacklock before play began again in earnest. With only a few minutes left until half time, a penalty kick led to a lineout for Exeter, allowing them to execute a textbook driving maul and secure one final try. With this, the teams returned to the changing rooms with a score of Exeter 15 – 14 Durham. It takes a lot of energy to play a half like that. No one would have been surprised to see the two teams come into the second half flagging, now that the adrenaline had worn off. The opposite was true. As if fired from a starters gun, Blacklock made a break and handed the ball to Crossman to finish off her second try of the game. Those spectators stuck in the bar queue hurried to their seats before the drama continued. If anything, Durham now seemed more confident both on and off the ball. Arguably the greatest testament to Durham’s work ethic was about to come as they held off an Exeter try attempt for a solid seven minutes. After holding the attackers up twice and defending their line with outstanding discipline, Exeter finally decided to take the ball wide and were rewarded for their gruelling attack with points. The conversion was wide and so Durham still held the lead 20-21. Yet the points continued to rack up and the clock continued to tick on. Another try each, both from strong forwards phases, although with Durham making better use of the space brought the teams into the last few minutes. The score stood one point in Exeter’s favour and a magic Durham moment was looking less and less likely. A controversial tackle on Shams as she kicked a ball through yielded boos from the crowd, but no penalty and Exeter were certainly not giving up the possession. Investec Women’s Hockey League reports and results, 26 Nov 2016.